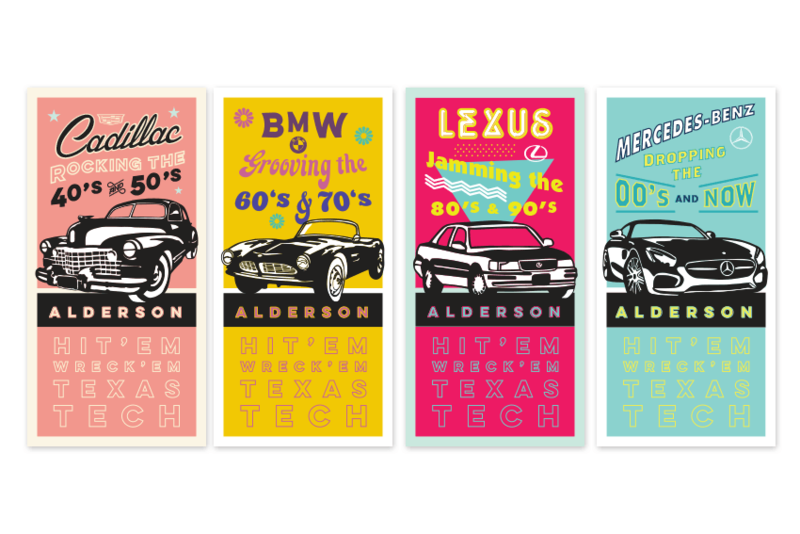 Alderson Auto Group is a premiere luxury car dealer in West Texas. 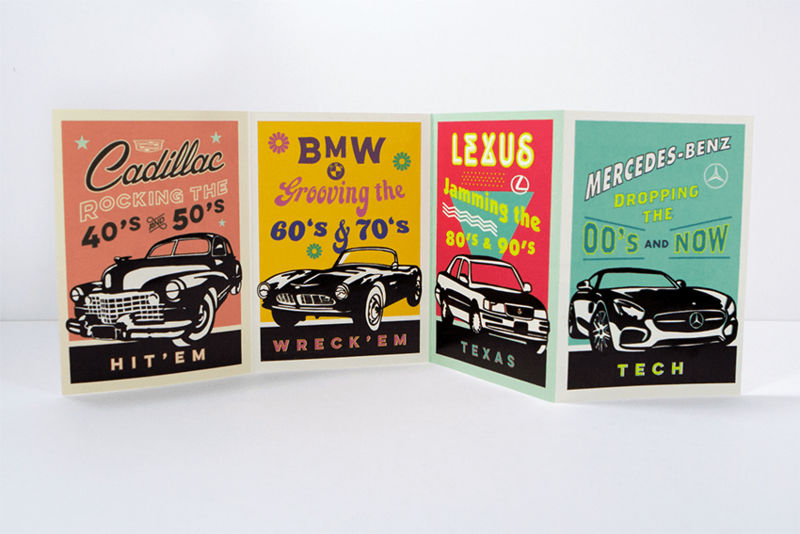 It specializes in Lexus, Cadillac, BMW and Mercedes-Benz brands. 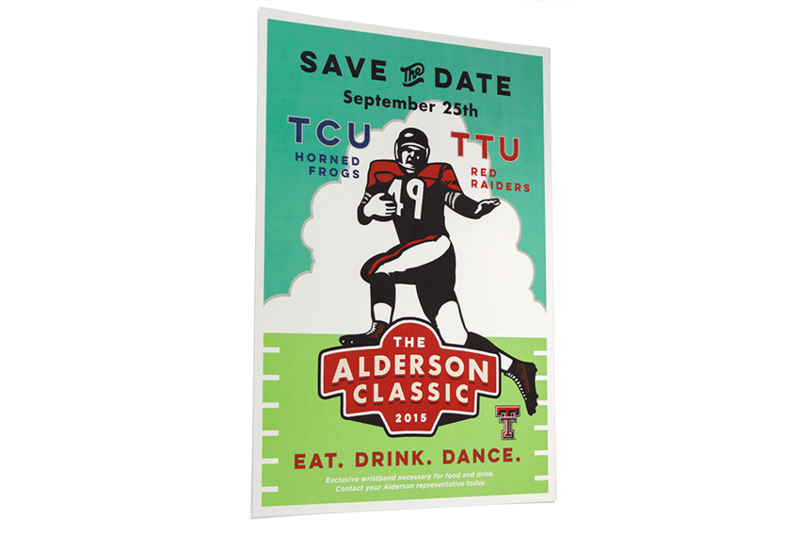 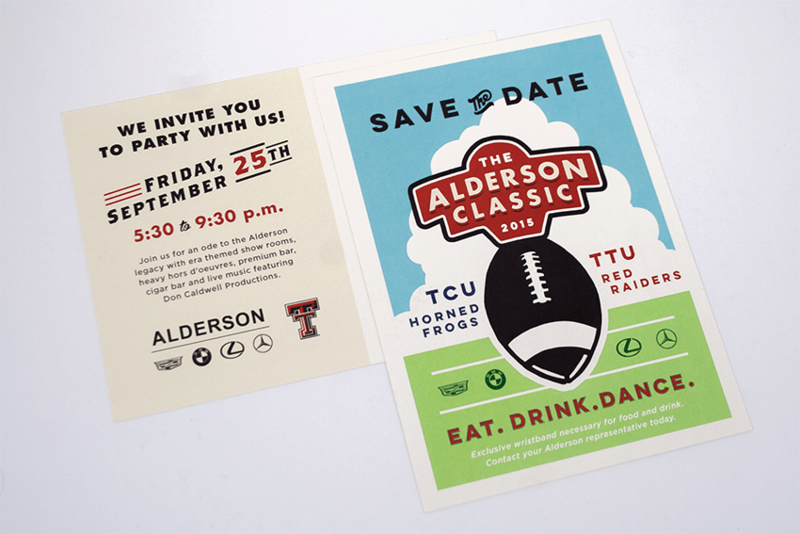 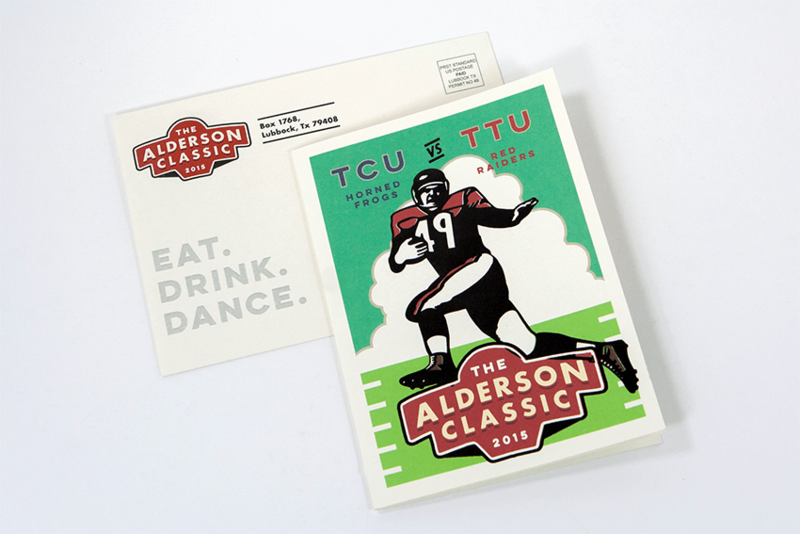 Each fall, Alderson puts on a customer appreciation tailgate party that coincides with a Texas Tech University football game. 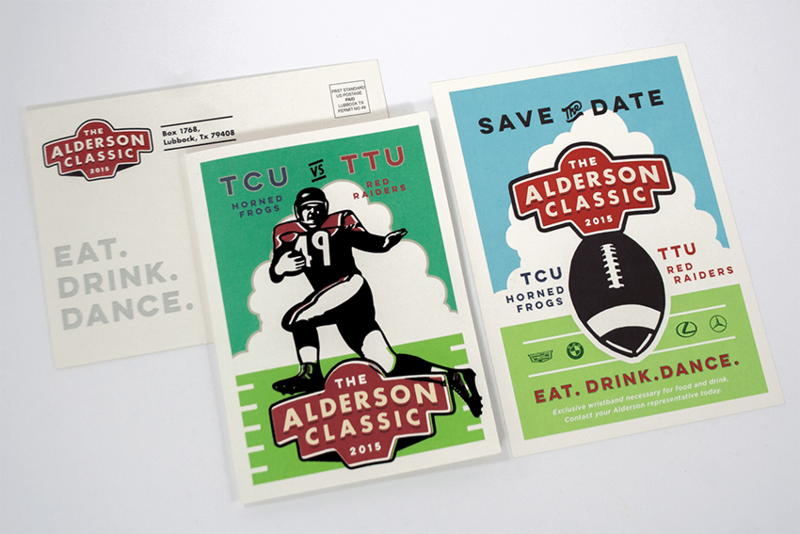 The showrooms are transformed with the year’s theme, reflected in the food and drink bars. 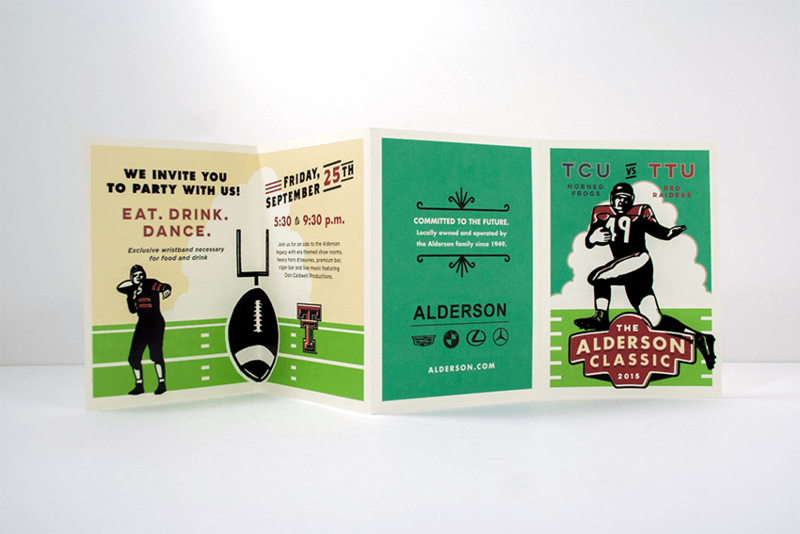 AMW takes great pride in producing an exclusive invitation, a logo design for the event and collateral with unique paper stocks, print techniques and digital content.